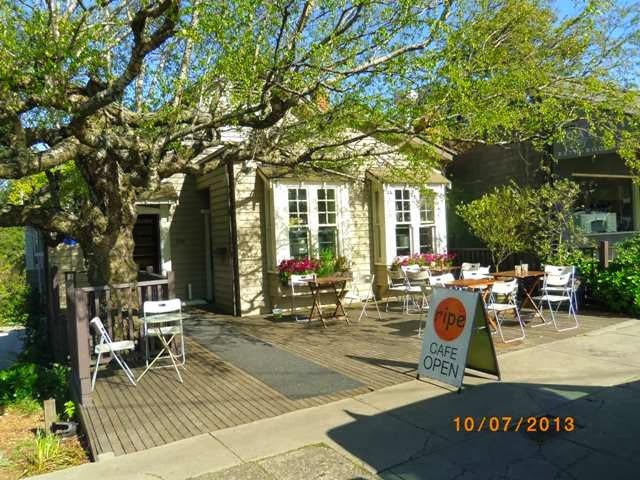 Patra's Other Place: Sassafras - tourist village in the Dandenong Ranges. 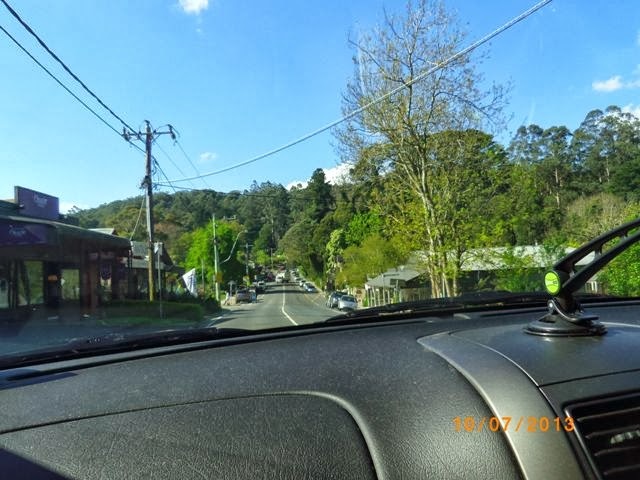 Sassafras - tourist village in the Dandenong Ranges. 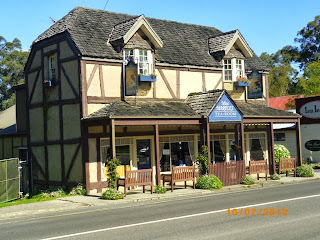 Sassafras is one of many charming tourist towns in the Dandenongs. Others are Ferntree Gully, Olinda, The Basin, Tecoma (of Macdonalds fame) and Kallista. One could spend a whole weekend just driving from one town to the next, stopping to look at shops, gardens and other attractions. 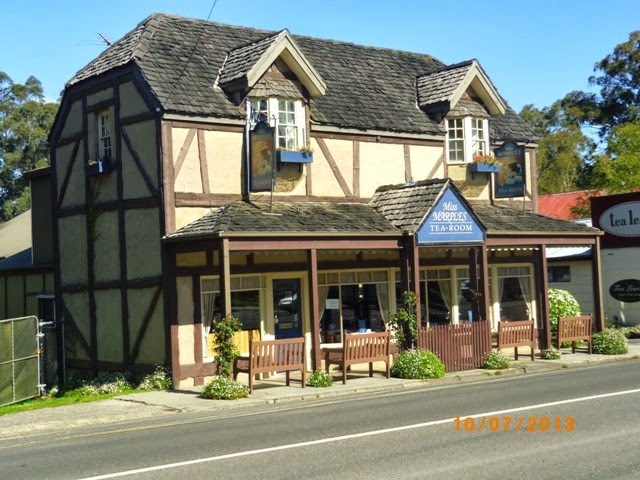 As we drove through this town, we decided it was the ideal place to stop for a much needed coffee. 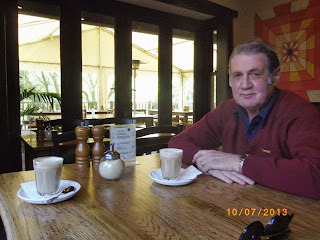 but they had just closed for the day at 4 pm when we got there, so we strolled down the street, and found another lovely little place where we had delicious coffee with almond and apple cake. 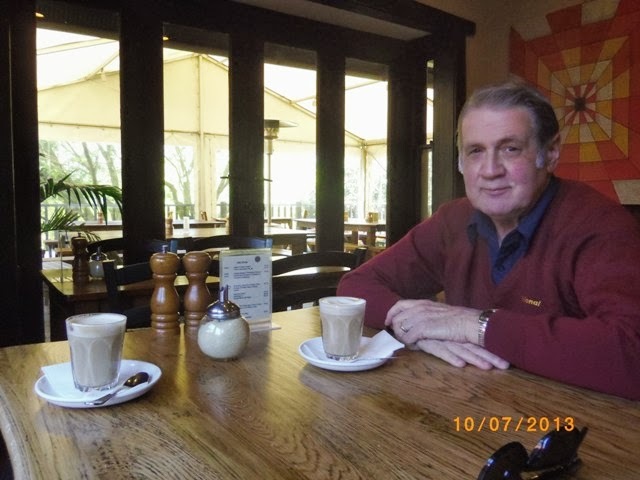 I love this photo of Kenny, he looks so happy and well. This was the second photo Ken took of me; I deleted the first one because I had my arms resting on the table and you could see the rolls of fat, so I crossed my arms over all that for the second shot - ha ha! 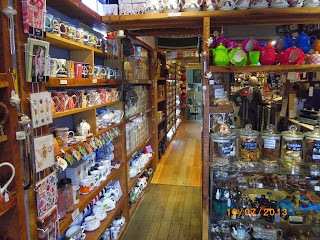 When we left the cafe, we wandered back up the street toward the car, but could not pass this little place without a peek inside. 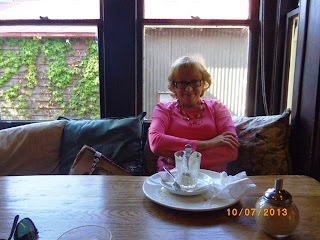 Did I say little? 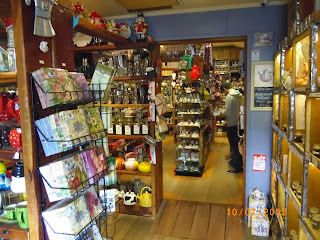 Appearances can be very deceptive; this place was enormous inside! 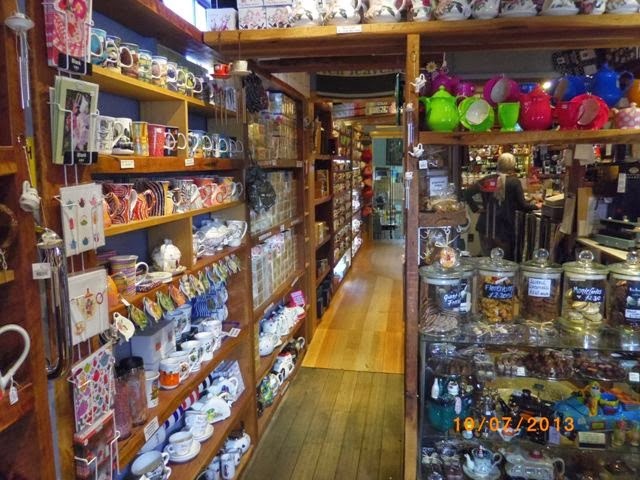 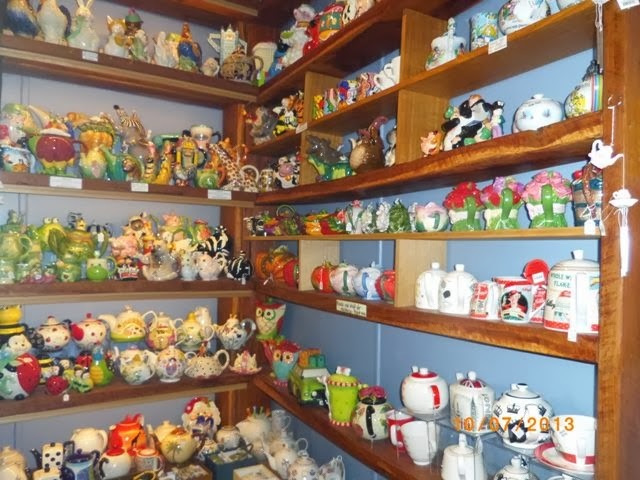 They sell a huge variety of teas and coffees, but most of the shelves are full of teapots, cups, and other paraphernalia to do with tea drinking. 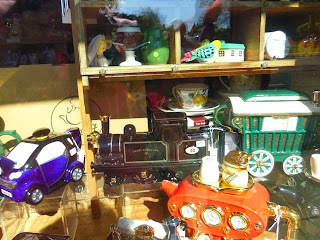 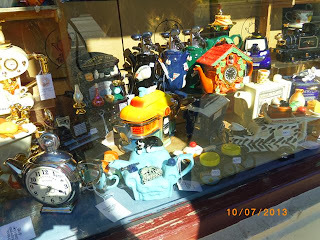 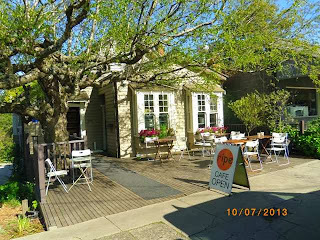 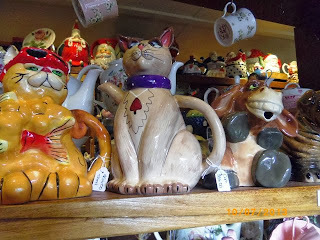 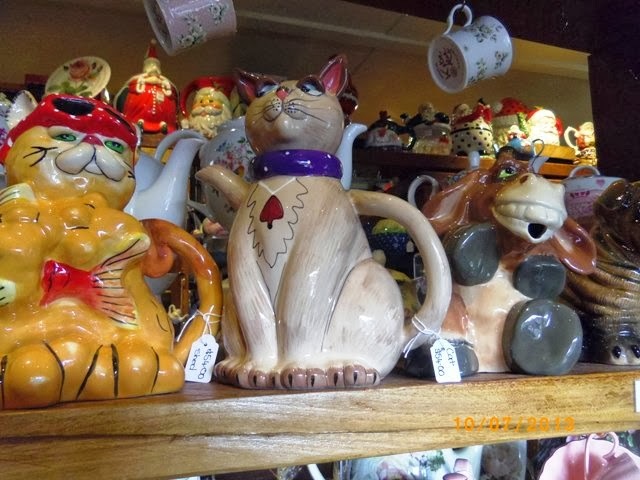 The next two photos are just some of the teapots in the front window. 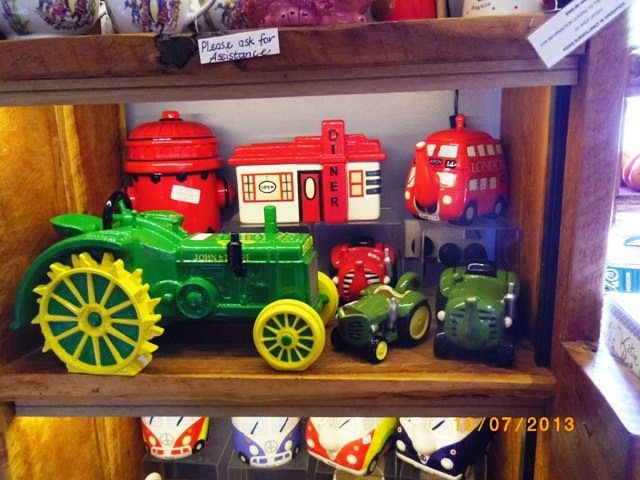 And these are inside the shop. 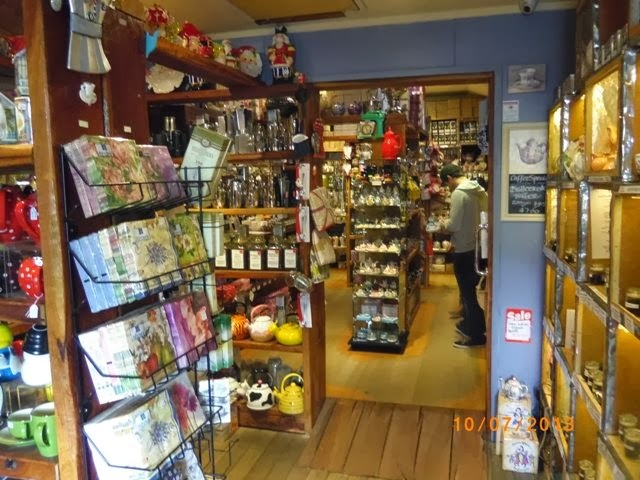 See what I mean about the size of the place? 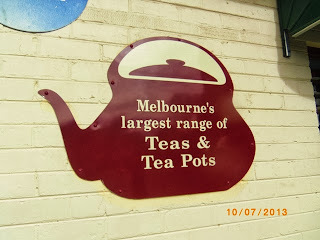 The sign outside says it all - I've never seen so many teapots in my life!! 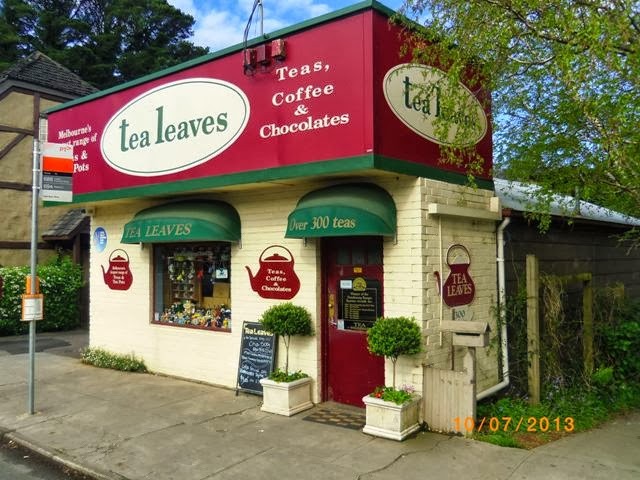 If you haven't been here, and you love a cuppa, do make the effort to drive up there one day. It is worth the drive just for this shop alone!